Got your reading list but not sure what you’re being asked to read (is it a book, is it an article, is it a bird, is it a plane…)? Or are you just not sure how you’re meant to search for and find these items in the Library (in print or online)? It may just be the first week of semester but many of you will already be required to start reading material in preparation for your lectures, seminars or tutorials. Finding and accessing this material can be an early hurdle for many new students but don’t panic, it can be a lot easier than you think. Learning how to read your reading list and recognise references now will make you more confident using the Library and will save you a lot of time in your studies later. And these skills will be of use to you at all stages of your University life and beyond. 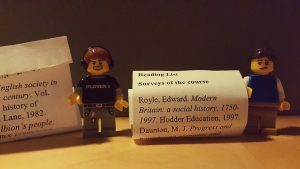 What’s in a reading list? Exciting major online primary source database now available at the Library. I’m really pleased to let you know that the Library has got a 1-year subscription to the fantastic primary source database Archives Unbound from Gale Cengage. Archives Unbound currently has 265 collections of primary source material, with new collections added every year. It is a huge database and covers a wide range of subject areas and time periods. You can access Archives Unbound from the Databases A-Z list and appropriate Database by Subject lists. The Library has already previously purchased permanent access to 9 collections from Archives Unbound and you can find out more about these at Spotlight on Archives Unbound. Archives Unbound presents topically-focused digital collections of historical documents that support the research and study needs of students and academics. Collections cover a broad range of topics from the Middle Ages forward-from Witchcraft to the Second World War to 20th century political history and the collections are chosen for Archives Unbound based on requests from scholars, archivists, and students. In Archives Unbound you can search through all 265 collections at one time or you can choose to search/browse individual collections or groups of collections. This is a new English-language journal specialising in synthetic articles and in long reviews and the journal is produced by staff at the University. 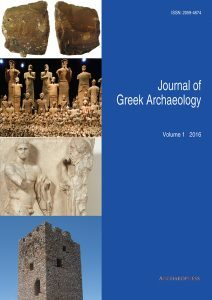 The journal covers Greek archaeology both in the Aegean and throughout the wider Greek-inhabited world, from earliest Prehistory to the Modern Era. The Library has been given trial access to the primary source database China: Trade, Politics & Culture from Adam Matthew. 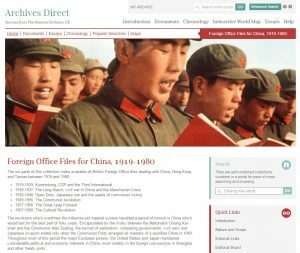 So for a limited time only you have access to this fantastic digital collection of English-language primary sources relating to China and the West from 1793 to 1980. The Library currently has access for a trial period to Church Missionary Society Periodicals Module 2: medical journals, Asian missions and the Historical Record, 1816-1986 from Adam Matthew Digital. Trial access ends 14th March 2017. Being unsure about this is very common for new students so you’re not alone but if you can learn how to read your reading list and recognise references now it will make you more confident using the Library and will save you a lot of time and effort in your studies. And these skills will be of use to you at all stages of your University life and beyond. Struggling to find your way around the Main Library? 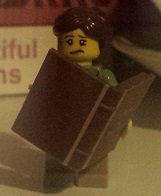 Or struggling to know where to locate a book in the Main Library once you’ve found it in DiscoverEd? The new interactive Main Library maps may be just what you need. 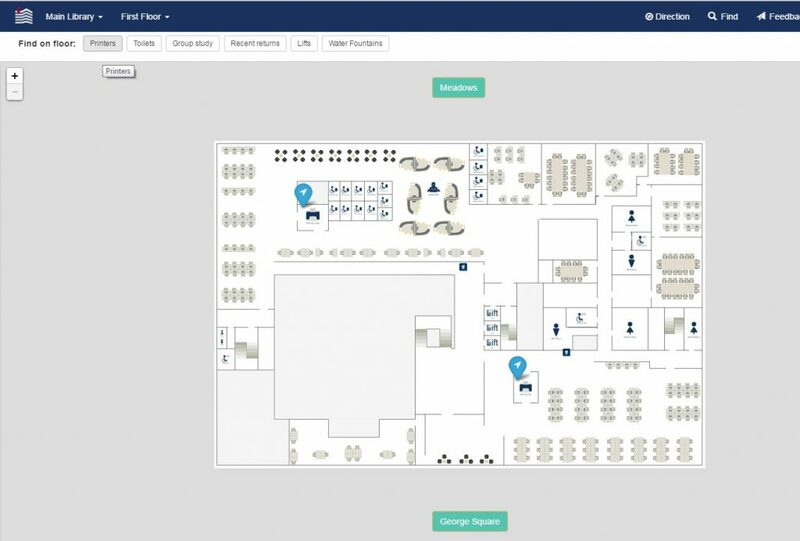 where you can use the Find on Floor tags to locate printers, group study space, recent returns shelves, toilets, etc. Following a successful trial earlier this year the Library has now purchased access to module 1 of Church Missionary Society Periodicals, Global missions and contemporary encounters, 1804-2009. This resource features publications from the Church Missionary Society, the Church of England Zenana Missionary Society and the latterly integrated South American Missionary Society. I’m happy to let you know that the Library has recently purchased two new primary source databases looking at Chinese and Asian history. These are China: Culture and Society and a new collection of files covering 1938-1948 from Foreign Office Files for China. So if this is an area you are interested in then read on. You can access both databases via the Databases A-Z list. I’m pleased to let you know that the Library has recently purchased the Papers of Neville Chamberlain, an online resource containing political papers documenting Chamberlain’s policies as Chancellor of the Exchequer and Prime Minister and highlighting his personal correspondence with his family. You can access the Papers of Neville Chamberlain via the Databases A-Z list. This collection is made available to us via Archives Unbound from Gale Cengage.